Power-line products such as Shunyata Research’s Denali D6000/S distributor pose a conundrum for me. On the one hand, I know from experience that having clean power at the proper voltage makes a difference. I learned this when I lived on the top floor of a 21-story high-rise, where power fluctuations and noise-related problems were really bad. An ExactPower EP15A power regenerator, which I reviewed and purchased in 2003, did a bang-up job of clearing up those problems -- whatever I plugged into it sounded better than when I plugged it directly into the wall outlets. When I moved into a detached house about 15 years ago, I immediately installed two dedicated 20A lines for my listening room, into which only my audio gear is ever plugged, and since then I haven’t had such severe problems. To me, that’s the crucial first step in upgrading the power supply for an audio system, even if it’s not possible in some places -- like that high-rise I used to live in. I sold the ExactPower EP15A to fellow-writer Philip Beaudette, who lives in a different high-rise in the same city, has no dedicated outlets, and was having problems similar to the ones I used to have. Philip uses it to this day. Also about 15 years ago, I visited an electronics manufacturer, and saw the test equipment they used to simulate different power-line problems -- over- and under voltage, various noises, etc. -- to determine what their effects might be on the amps, preamps, and digital components they were making. One of their designers told me that they could design enough filtration into the power supplies of their most expensive components to weed out noise problems, but not into their lower-priced components, which made them more susceptible to power problems -- which may partially explain why some products are more helped by power conditioners and distributors than others. 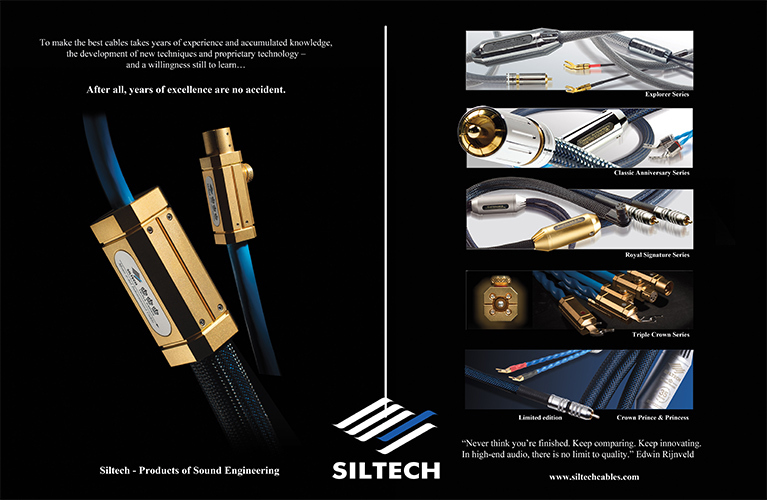 On the other hand, some power products I’ve tried haven’t done a thing to improve the sound quality of my components. Worse, some have been downright dangerous: One of the first power conditioners I owned caused one amp I plugged into it to trigger its protection circuitry and shut down. An entire batch of power cords sent me by another manufacturer had three prongs on their male and female connector ends, but inside their jackets, no ground wires connected the third prongs. This not only caused a massive hum when I powered on my system after plugging one such cord into each component, it also presented the risk of shock. And had they caused a fire, I’d have been in trouble with my insurer -- proper grounding is the law here in Canada. Yet another time, I had a power distributor in my system whose interior soldering was so shoddy that it caused periodic short circuits. This might have damaged not only the electronics connected to it, but my speakers as well -- when the distributor was shorting, my electronics sent through my speakers nothing but distortion. It’s because of such problems that I often use only stock power cords for the components of my reference system: It’s self-evident that they must be considered recommended by the manufacturer, and they’re almost always government-certified. I use power distributors, but typically “industrial” models with heavy-gauge cords and sturdy receptacles, for plugging in heavy tools -- those I trust to be safe and reliable. Almost three years ago, I told these stories to Shunyata Research’s sales director, Grant Samuelson, who was undeterred -- he assured me that his company’s products are properly grounded and safe to use. Samuelson then offered to send me some of them, beginning with enough Venom HC power cords ($295 USD/6’) for all the components in my system, plus two Venom PS8 power distributors ($700 each), each equipped with a Venom Defender noise reducer ($200 each). (He also sent along some ΞTRON Alpha power cords; they’ve since been discontinued, and replaced by Alpha NR cords, which I now have in-house but have yet to evaluate.) I wrote about using the three Venoms in SoundStage! Global blog posts in early 2016. The subject of this review is a single Denali D6000/S power distributor ($4000), which arrived at my place in December 2017 without a power cord. Like all Shunyata Research products, the D6000/S was designed by the company’s founder, Caelin Gabriel. The D6000/S is the middle model in the Denali line. Below it is the D2000/T ($3500), above it the D6000/T ($5000). The D6000/S measures 17.25”W x 4.5”H x 12.15”D, and the S in its name stands for shelf, indicating that it’s to be laid flat, supported by its four plastic feet. T stands for tower -- the D2000/T and D6000/T are taller than they are wide, with a metal-outrigger base that sits on four stainless-steel feet. With the base and footers, the D6000/T measures 17.75”H x 7.75”W x 17.25”D, the D2000/T 9”H x 7.75”W x 17.25”D. The Denali D6000/S is a simple-looking, matte-black box that’s quite light -- 12.3 pounds. I liked its look and feel. The thick aluminum faceplate, which has a rocker power switch on the right and a big “DENALI” engraved across the center, cants back just a bit. When I rapped a knuckle anywhere on its aluminum case, it felt and sounded solid -- no ringing, just a dull thuck. Shunyata’s ad copy states that this has to do with damping panels on the enclosure’s inner walls, gaskets around the outlets, and a special compound surrounding the electronic parts. Both D6000s have six outlets on their rear panels, hence the 6 in their names. These are divided into three sections, called Zones, each with two outlets. Zone 1 and 2 outlets are rated for 15A and are typically used for source components, while Zone 3 is rated at 20A and is what you’d use for power amps. (The D2000/T has two outlets, configured similarly to the D6000s’ Zone 3.) Shunyata builds the outlets themselves, and has given them the name CopperCONN. Their contacts are made with oxygen-free electrolytic (OFE) copper, which, at 99.99% pure, is said to be the highest quality you can get. Surrounding these outlets are molded plastic hoods that poke out from the back a couple inches, like exhaust pipes, and surround the inserted power-cord connectors to keep them in place. Shunyata’s connectors don’t quite touch the hoods, but wind up close enough that if one slips out and leans just a little bit, the surrounding plastic won’t let it fully drop out. Farther left on the rear panel are a grounding lug and a 20A power-cord inlet. Since no Denali comes with a power cord, you’ll have to add that; I used a Venom HC Shunyata had supplied earlier. Everything inside the D6000/S is bespoke Shunyata tech. It’s wired with Shunyata’s ArNi 8- and 12-gauge conductors, which they describe as “‘hollow tube’ VTX™ designs made from pure OFE C10100 copper and then treated with the KPIP Processor.” KPIP is a proprietary process claimed to “virtually eliminate the need for burn-in and cryogenic treatment.” To the left of the power switch is a square blue component called Trident Defense, which adds some filtration while acting as a surge suppressor that, Shunyata says, can withstand up to “40,000A @ 8/50μs.” Directly attached to the back end of each outlet is a Component to Component Interference (CCI) v3 module, which Shunyata’s promotional copy says isolates “power line noise from one component to another component.” CCI has become an important part of Shunyata’s overall business plan: the technology has been used in highly sensitive imaging equipment used in heart surgery; the reduction in noise is claimed to improve the clarity of what surgeons see onscreen as they operate. To the top right of the QR/BB module, midway between the front and rear panels, are two round canisters, each lying on one flattened side and bolted to the D6000/S’s chassis. Grant Samuelson told me that these canisters, not yet formally named, are proprietary filters developed as part of their medical-equipment business that also have benefits for audio signals. These feed the Zone 1 and 2 outlets. In my system, source components and preamps are at one end of my listening room, the amplifiers and speakers at the other, with a dedicated line and a distributor for each part (I run long, balanced interconnects). At about the time the Venom HC power cords and Venom Defender-equipped Venom PS8s arrived, in December 2015, I also received, from Audio Research, review samples of their G Series GS150 power amplifier and companion GSPre preamplifier. The GS150 went in first, so that I could get a handle on its sound before changing anything else. At the source end of the room were a Simaudio Moon Evolution 740P preamplifier and Hegel Music Systems HD30 DAC, on which I ended up using the Venom HCs. I also swapped out my power distributors for the Venom PS8s, each equipped with a Venom Defender, and connected those to the wall outlets with Venom HCs. I couldn’t change the power cords on my Samsung R580 laptop computer or the GS150, because all the supplied Venoms had 15A connectors -- the laptop uses one of those tiny rounded ones typical of computers, while the GS150 requires a 20A connector. First was something I saw, on the GS150’s incoming-voltage meter (a handy feature rarely seen with amps). With my original power setup, the needle was always in the Normal range, just shy of the optimal center position. With the Shunyata setup, the needle was pegged at the center. This was a surprise because Shunyata’s distributors don’t actually regenerate power -- as does, say, ExactPower’s EP15A -- so I can’t explain why the voltage came up just that little bit. To be sure this wasn’t a fluke, I went back and forth between the old and new distributors several times, and the result remained constant: the Shunyata setup always put the GS150’s needle dead center. The next things I heard. With the ARC GS150 in the system, and standing a foot or so away from either speaker with no music playing, I could hear a very soft buzz much higher in frequency than a 60Hz hum. The buzz didn’t trouble me -- I’d heard it with other amps, such as my Blue Circle Audio BC204; it was at a very low level, and was completely masked by even the quietest music. Nevertheless, though the Shunyata setup didn’t eliminate the buzz, it cut its volume by at least half. Last but not least, the sound was now slightly more dynamic in the bass, and subtly smoother and just a bit more detailed overall, which tended to make recordings with big soundstages -- such as the score for the film The Mission (16-bit/44.1kHz FLAC, Virgin) and the Cowboy Junkies’ The Trinity Session (16/44.1 FLAC, RCA) -- sound a bit more broad and deep. The Denali D6000/S arrived as I was finishing my evaluation of Constellation Audio’s Taurus Mono power amplifiers and Revelation Pictor preamplifier, respectively reviewed in December 2017 and March 2018. At the time, my Samsung laptop was connected to an EMM Labs DA2 Reference DAC with an AudioQuest Diamond USB link. The DA2 was connected to the Pictor with Crystal Cable Standard Diamond balanced interconnects, and the Pictor to the Taurus Monos with Audience Au24 SX balanced interconnects. The Tauruses primarily drove Revel Ultima2 Salon2 floorstanding speakers via Siltech Classic Anniversary 330L speaker cables, though I also briefly used Dynaudio Special Forty minimonitors with the same cables. By then, both preamp and DAC had Shunyata Venom HC power cords; the Tauruses’ 20A AC inlets meant that I had to use their stock cords. Since I had just one Denali D6000/S, I at first used it on the front end -- computer, DAC, preamp -- and left it there until I’d finished my reviews of the Constellations. This topflight system was capable of extraordinary resolution -- I could hear every little thing. The subtle changes the D6000/S made in this system’s sound were very similar to what I’d heard when the Pictor’s optional DC filter was connected to the preamp. Most noticeable was that this already super-spacious-sounding system now sounded a smidgen more so, and the tiniest musical nuances and spatial cues were even easier to pick out. Though these changes were slight, I found them exciting. One “Oh wow!” moment was when I played Van Morrison’s Poetic Champions Compose (16/44.1 FLAC, Mercury). I listened over and over, astonished at the breadth and depth of the soundstage of “Spanish Steps,” and how much detail I could hear. Morrison’s alto saxophone, starkly front and center, had never sounded so real. In fact, until the Constellations, I’d never thought this 1988 recording could sound that detailed or that good -- and with the D6000/S it sounded even a touch better. Ditto “Ain’t Got You” and “One Step Up,” from Bruce Springsteen’s Tunnel of Love, from 1987 (16/44.1 FLAC, Columbia). Air around and between performers that before had been hardly noticeable now stood out in stark relief. I was floored by hearing this kind of detail from CDs made in the late 1980s, when many CDs didn’t sound that good and were often criticized for lacking smoothness, air, image dimensionality, and depth. That said, I don’t give the Denali all the credit for what I heard. After all, it didn’t fundamentally change the system’s sound, which was already really, really good -- the tonal balance and lack of noise were still there with the Venom PS8 in place. But, like the Constellation Pictor’s DC filter, the Denali D6000/S can be credited with helping to kick the resolution -- and the quality of my experience of the music -- up a notch. It was just a touch more aural icing on an already fabulous, already iced cake. The Constellation reviews out of the way, I could experiment more. I moved the Denali D6000/S to the amp end of my room, to connect it to a Hegel Music Systems H360 DAC-integrated amplifier by using Zone 3. 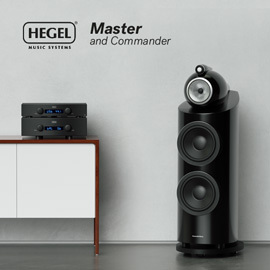 This pairing might seem unlikely, even foolish -- the Hegel costs just $6000, and anyone wanting to move up in price would more likely be looking at Hegel’s separates. Didn’t matter -- I wanted to hear if the Denali would have any effect on the H360. I first plugged the H360 into a Venom PS8 with a Venom HC power cord (the Hegel has a standard 15A connector). The source was again my Samsung R580, plugged -- via the Denali or the PS8 -- directly into a nondedicated wall outlet near where I keep the laptop and its external hard drives. 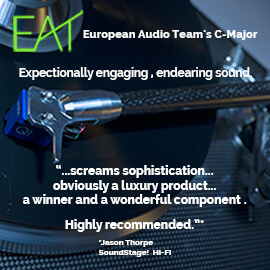 The Samsung fed the H360 via an AudioQuest Carbon USB link, and the speakers were at first compact two-ways from Lithuania: AudioSolutions Figaro Bs. 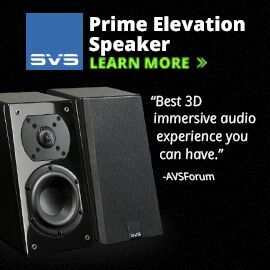 When I switched from the Venom PS8 to the Denali D6000/S, I was immediately struck by a subtle smoothing of the sound -- it seemed to relax a bit -- and a slight increase in audibility of the finest details: both good things. I noticed a wider, deeper soundstage on every track of Willie Nelson’s Teatro (16/44.1 FLAC, Island/Tidal), and found it easier to reconcile the positions of the performers on those stages. I heard the same with other recordings. I swapped out the Figaro Bs for another pair of two-way speakers, Studio Electric’s M4, whose bass and lower midrange are a little fuller than the AudioSolutions’. When I played “Civil War” and “The Things That We Are Made Of,” from Joan Baez’s latest and likely final album, Whistle Down the Wind (16/44.1 FLAC, Proper/Tidal), her voice was not only slightly smoother with the Denali in the loop, but also richer, which imparted more presence, and made her stand out on the stage in a more palpable way. But it wasn’t just Baez’s voice -- the entire midrange seemed a little more present, a little more there. Neither the M4 nor the Figaro B can reproduce truly low bass -- the M4 can go down to 40Hz only on a good day -- but after switching back and forth between the Denali D6000/S and the Venom PS8 for most of one morning, I concluded that, with the Denali, the bass the M4s could reproduce was better defined. However, that difference wasn’t as easy to hear as the improvement in Baez’s voice. These differences might have been subtle, but with both sets of speakers, there was no question that the Hegel H360 sounded just a little bit better plugged into the D6000/S than into the PS8. And because of what I heard in the bass and mids, in addition to improved resolution, I’d say the Denali made a bigger improvement with the H360 than it did with the Constellation Revelation Pictor and EMM Labs DA2 Reference DAC. With the Denali still on the amp side of my room, I next connected the front end of my main system -- Samsung R580 laptop, EMM Labs DA2 Reference DAC, Constellation Pictor preamp, and associated interconnects -- to the Constellation Revelation Taurus Monos, and compared having the Tauruses connected to the Denali’s Zone 3 vs. a Venom PS8. I began with the Studio Electric M4 speakers, which were already set up optimally. With my ear an inch or two from one M4’s tweeter, I could hear a very faint ssshhh; and from the midrange-woofer I could detect the slightest 60Hz hum. These very small amounts of system self-noise sounded identical regardless of which Shunyata power distributor the amps were plugged into, Venom PS8 or Denali D6000/S. Yet when I played music, I heard small differences akin to what I’d heard through the Hegel H360. From the same Baez tracks I heard more richness in the midrange, better definition in the lower midrange and bass, and solider placement of aural images on the soundstage. I clearly heard better definition of the bass and midrange in the sound of the piano in “Civil War” and the drums in “The Things That We Are Made Of” -- in both cases, I heard more texture. While the Denali increased the sense of spaciousness and amount of detail when used at the source end of my system, I heard no such improvements at the amp end. However, the improved specificity of image did let me more precisely sort out what or who was where on the stage, from left to right but primarily from front to back. With the M4s, macro- and microdynamics seemed to have the edge with the Denali, which led me to believe that the Tauruses’ power wasn’t being choked off, which can sometimes happen when amps are connected to power distributors and conditioners -- particularly with big amps like the Taurus Monos, each of which can output more than 500W into 8 ohms. To learn more about that, I removed the M4s and, with the amps still plugged into the Denali, concluded my listening with the big Revel Salon2s. Now I could hear the full bass range of the Baez tracks -- the Salon2s can go down to 20Hz in my room. I also heard all the thunderous, room-swelling bass I’ve grown used to hearing in the title track of Adam Cohen’s We Go Home (16/44.1 FLAC, Rezolute Music/Tidal), and could play whatever music I pleased at the highest volumes without the amps ever sounding constrained or compromised anywhere in the audioband. I see no reason why you couldn’t use the Denali with the most powerful amps. Despite my concerns with the safety and efficacy of power-line products in general, I haven’t found it hard to value the benefits provided by Shunyata Research’s products. The Venom HCs, Venom PS8s, and Venom Defenders they sent more than two years ago clearly improved my system’s sound over the stock cords and industrial distributors I’d been using, and gave me no concerns about safety. I kept using them. Shunyata’s Denali D6000/S made small but important improvements over the Venom Defender-equipped Venom PS8s, with no downsides. It’s likely that, had I begun with only the D6000/S in the first place, rather than first trying the Venom PS8s, the Denali’s effects would have been even more pronounced. Regardless, the improvements wrought by the Denali D6000/S aren’t the kind that can make a bad system sound good, but they can make very good components sound just a bit better, and perhaps even their best. If you’ve already done all you can to improve the delivery of power to your audio system -- e.g., by installing dedicated lines -- the Denali D6000/S is one of a very small number of power products I strongly recommend that you try. Warranty, parts and labor: limited, lifetime.